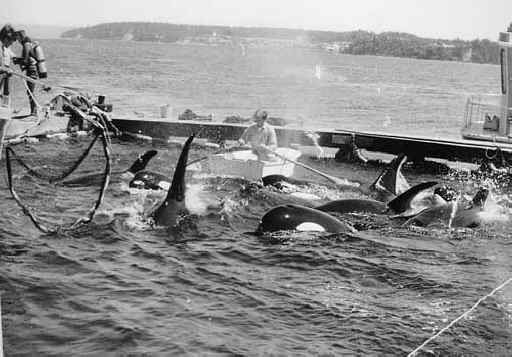 (Orca Exploitation - Entertainment - 02) One at a time the infant orcas are removed from the ocean, their real home, never to see their families again. Only humans are capable of being this cruel. It's time that it stops. Do not support any theme park that features animal entertainment or has animals on display.